Mrs Evans and Mrs Hard have been working hard with their Gardening Club, this year, and today is the day they’ve all been waiting for… they get to harvest their crop! At the start of the spring term, they planted broad beans, runner beans, tomatoes, peas, chives, spinach, sunflowers and strawberries. 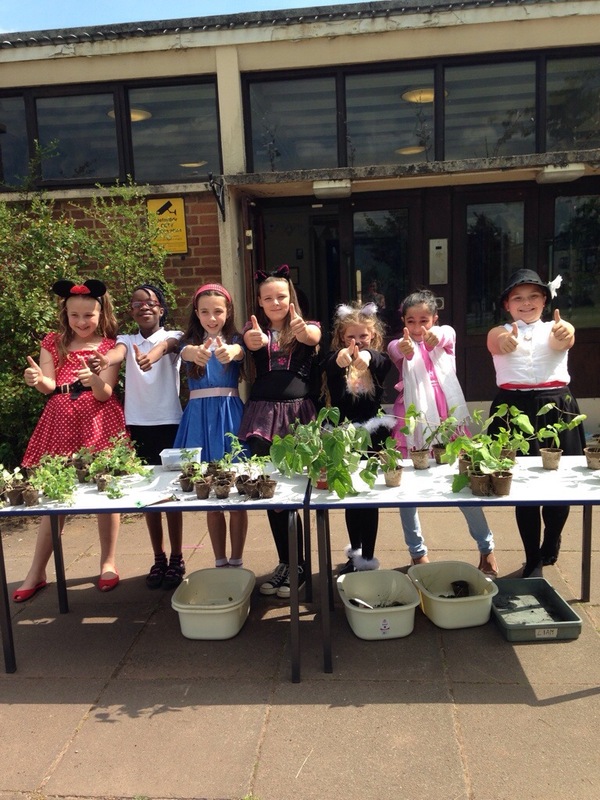 Mrs Hard’s group had a plant sale last week, where lots of things were sold to parents. Mrs Evans’ group weren’t quite as entrepreneurial and decided to just eat and enjoy their produce themselves… There were lots and lots of strawberries, which they all enjoyed, tremendously! Well done everyone!